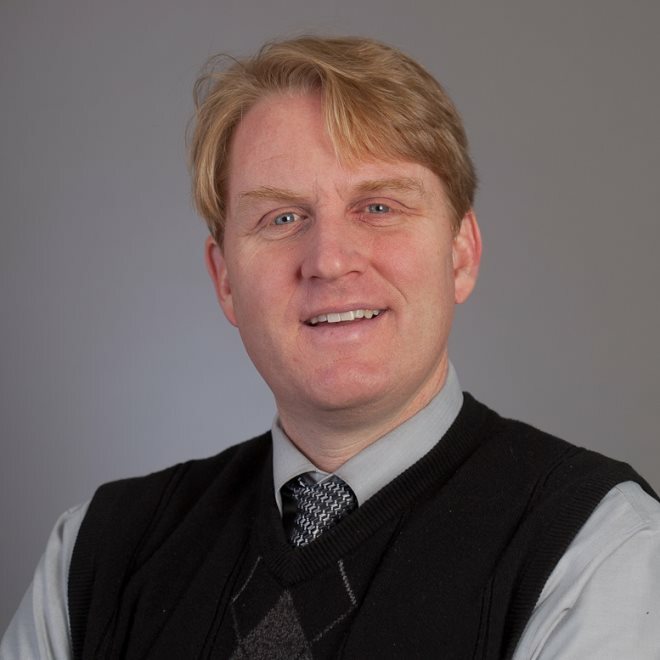 Timothy Todd Anderson has been at the University of Massachusetts Amherst since 2011. In addition to his marching band responsibilities, Dr. Anderson also directs the Pep Band, the Concert Band, teaches Marching Band Techniques and works with student teachers. During the summers, he is the conductor of the Amherst Community Band. Dr. Anderson previously served as the Associate Director of Bands at California State University, Fresno, from 2006 – 2011. He is a frequent clinician and guest conductor with school band programs throughout New England. Dr. Anderson holds the Bachelor of Music from the University of Iowa, the Master of Music in Wind Conducting from the University of Florida, and the Doctorate of Education in Music Education from the University of Illinois. His career began as an instrumental music teacher in the West Marshall Community School District of State Center, Iowa. Dr. Anderson resides in Amherst with his wife Jennifer and their cat Gatsby. Thom Hannum has been teaching at the University of Massachusetts Amherst since 1984; he serves as the Associate Director of the Minuteman Marching Band as well as the Coordinator of the Marimba Band/Marimba Ensemble program. He received the Distinguished Service to the University Award, recognizing his considerable contributions to the University. 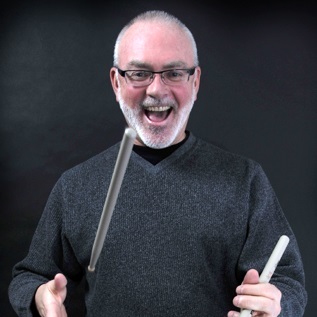 Mr. Hannum has long been regarded as one of the nation's foremost percussion arrangers, instructors, and clinicians having presented numerous seminars and workshops throughout the United States, Canada, Europe, and Southeast Asia. Thom is also a charter member of the design team for the Tony Award-winning show Blast! He is known internationally for his work with the DCI World Champion Cadets of Bergen County and Star of Indiana. Mr. Hannum is currently the Percussion Coordinator and Arranger for the Carolina Crown. Chris has been the Assistant Director of the UMass Marching Band, serving as Color Guard Director and Visual Coordinator, since 2015. She previously worked as Color Guard Instructor for the UMMB from 1990-1995. As a UMass student, Chris joined the UMMB in 1988, was color guard captain in 1989, and graduated in 1990 with a degree in Communications. Chris taught the Color Guard at the University of South Carolina where she earned Bachelor's and Master's degrees in Music Education, with a concentration in Early Childhood Music Development. 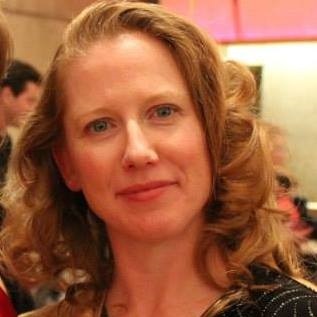 She has taught early childhood music in California and Minnesota, and elementary general music classes in Virginia and Massachusetts. 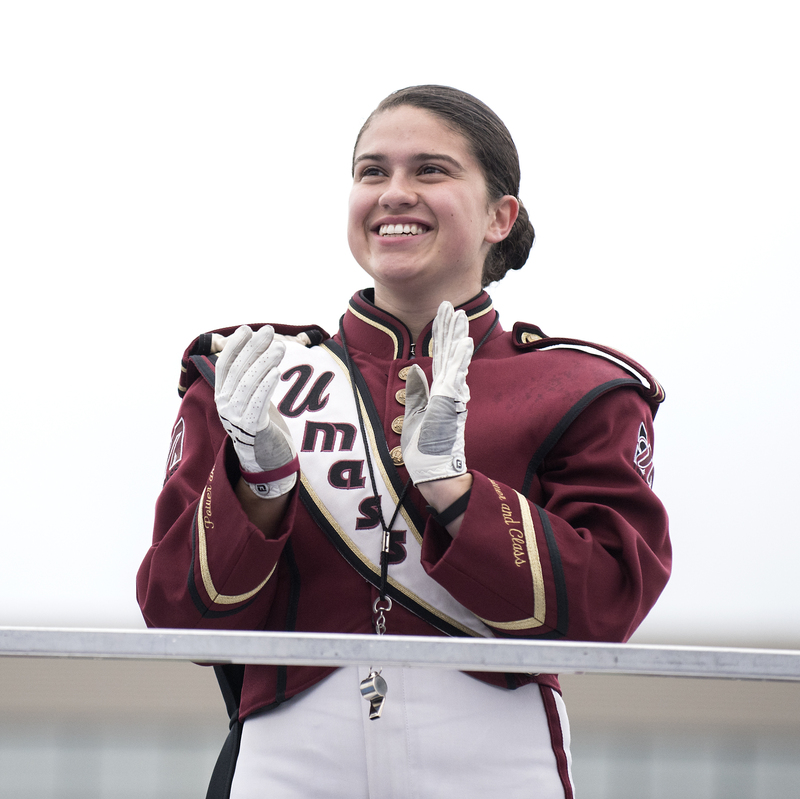 She moved back to Amherst in 2013 and happily resumed working with the UMass Guard. She lives in Amherst with her family, and teaches early childhood music classes in the area. Sabrina Azinheira is rising senior from Dartmouth, Massachusetts majoring in Biology with a Music minor. 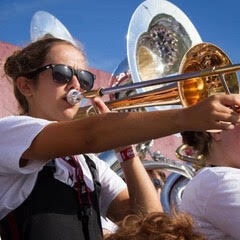 This will be her fourth year as a member of the trombone section in the UMass Marching Band. She has been playing the trombone since she was in fifth grade and continues to play with not only the marching band, but also the university’s Wind Ensemble and Trombone Choir. Sabrina is proud to be the 2019 Band manager and is excited for a great season. In her free time, she can be found reading in the Durfee Conservatory, watching Netflix, and more often then not, playing the trombone. If you have any questions you can reach Sabrina at manager.ummb@gmail.com! Amanda Bresnahan is a rising senior pursuing a Public Health degree with Sociology and Education minors! Amanda is from Taunton, Massachusetts, and this will be her fourth season as a member of the trumpet section in the UMMB. She started her career on Ad Staff her junior year as a member of the Publicity and Recruitment staff, and will now be serving as the Travel Manager for the 2019 season! 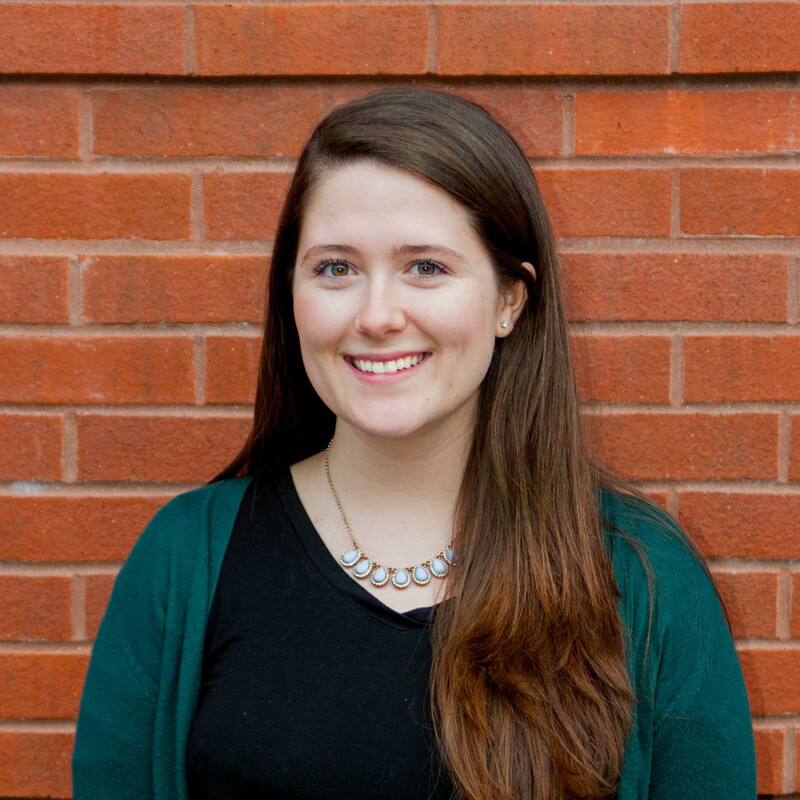 Outside of band, Amanda is a Peer Advisor for the School of Public Health and Health Sciences. Amanda enjoys going to spin class, petting dogs, and playing a good round of Uno! If you have any questions, feel free to reach her at ummbtravelmanager@gmail.com. Sahil Mishra is a rising senior Computer Science major from Barrington, Rhode Island. He is a member of the clarinet section and this will be his third year in the UMMB. His interests include design and obsessing over clothes. In his spare time he can be found watching comedy sketches and reading strange books. Feel free to reach out to him at ummbpersonnelmanager@gmail.com. 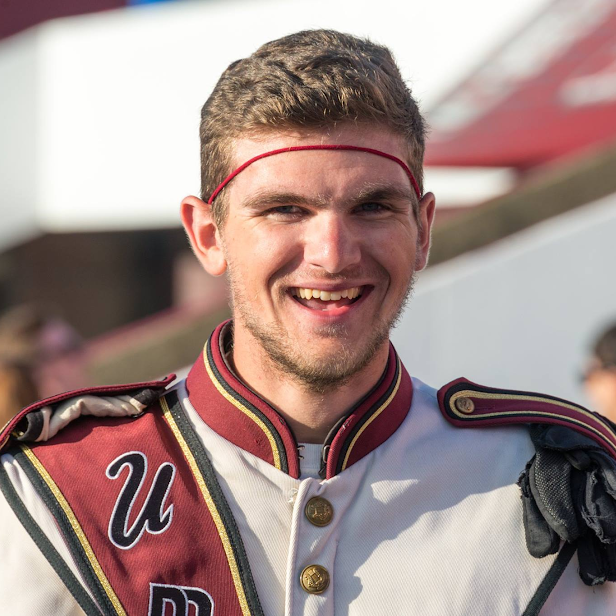 The UMMB has many more student leaders that strive to make the band successful. Alex Wang is a senior music education and performance major from the beautiful city of Salem, MA (which is better than Gardner) and this will be his third year as a drum major! Before being drum major, he marched in the clarinet section (Go Netline). Outside of marching band, he is involved with the UMass Wind Ensemble, hoop band, and other ensembles. He is also a brother of ΦΜΑ Sinfonia at UMass, a men's music fraternity. Besides music, he loves board games, Marvel movies, D&D, Magic the Gathering and good jokes. He is very excited to see what is in store for us this coming season and what unique personalities and experiences our new members have to bring to our band! He looks forward to seeing you all at band camp!! 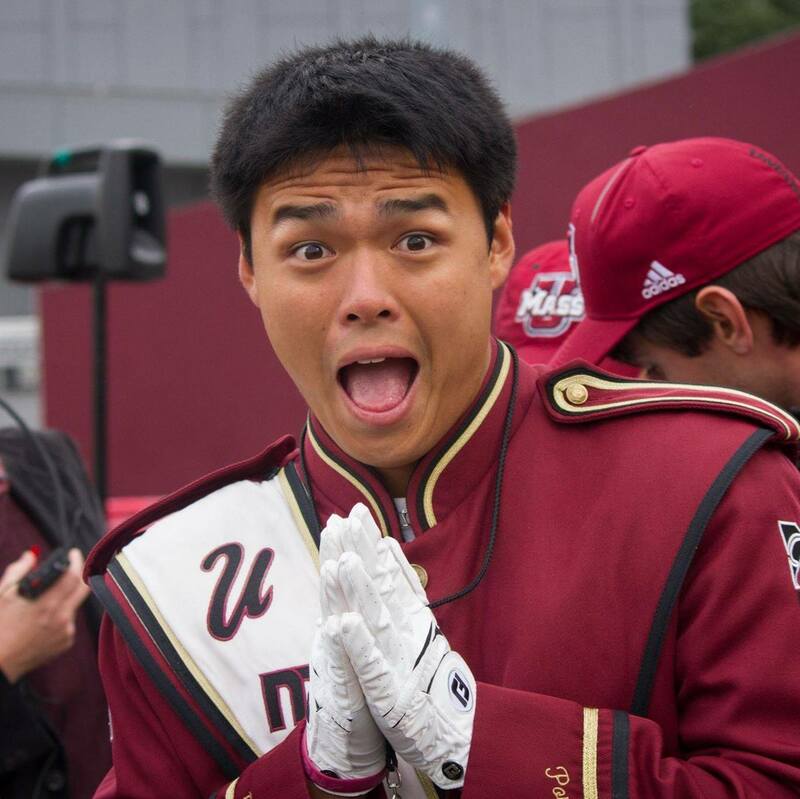 If you have any questions about band, college or anything, please feel free to contact him on facebook or by email at apwang@umass.edu! Jackie Nicholson is a rising senior pursuing a dual degree in Marketing and Communication here at UMass, along with an Honors capstone thesis. This will be her third and final year as Drum Major of the UMMB. She hails from the beautiful city of Gardner, MA and would love to talk to you about it sometime. She’s the manager of the Hoop Band and Vice President of Membership for Sigma Alpha Iota, one of the music fraternities on campus. She is also a Student Ambassador for the AMAZING UMass Dining program. During Summer 2018, Jackie is interning at Hanover Insurance in their Strategic Marketing department. She is super excited for the adventures that will come with the marching band season, and is looking forward to meeting all the new members of the UMMB. We’ll have some great times! If you have any questions about anything—band, college, ice cream flavors to try—don’t hesitate to reach out to her at jhnicholson@umass.edu or friend her on Facebook! Jack Mellish is a junior music education major from Ashburnham MA. This will be his third year with the University of Massachusetts Minuteman Marching Band and he is ecstatic about returning as Drum Major. 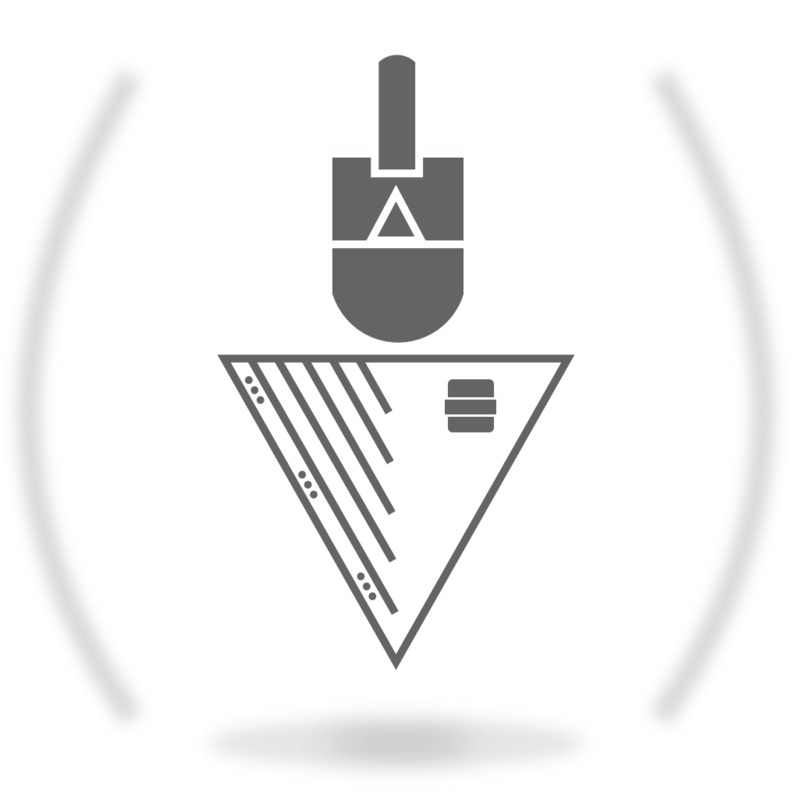 Jack is also a brother of Phi Mu Alpha Sinfonia, one of the music fraternities on campus. 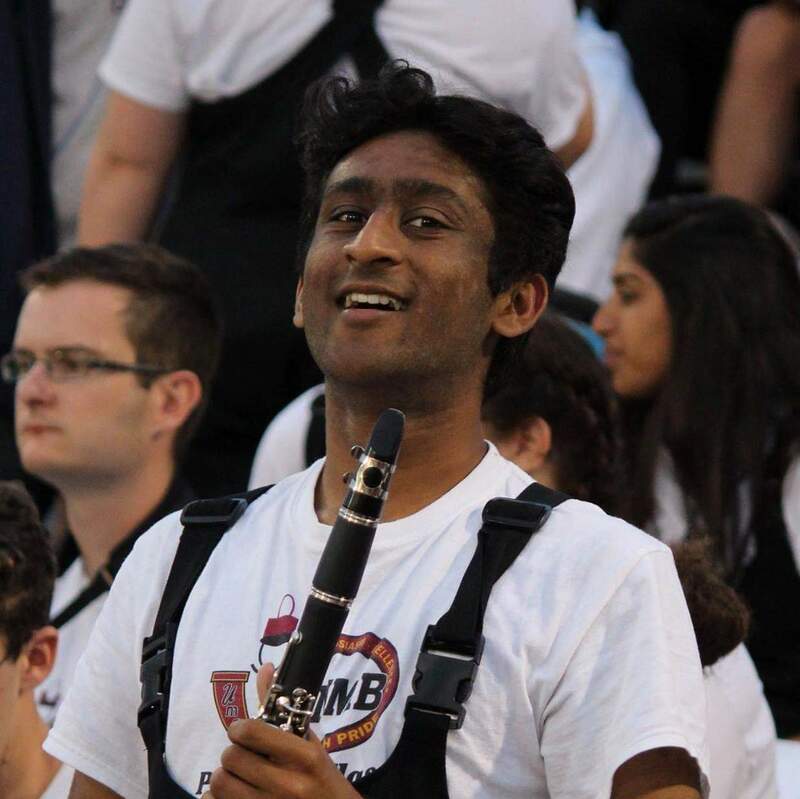 He believes that band and music are the greatest ways for people to connect and improve lives, and can't wait for the season to start. After college, he plans to teach band/choir at either the middle or high school level. Outside of music, he enjoys memes, superhero movies, and expecially UMass's No. 1 dining!!! 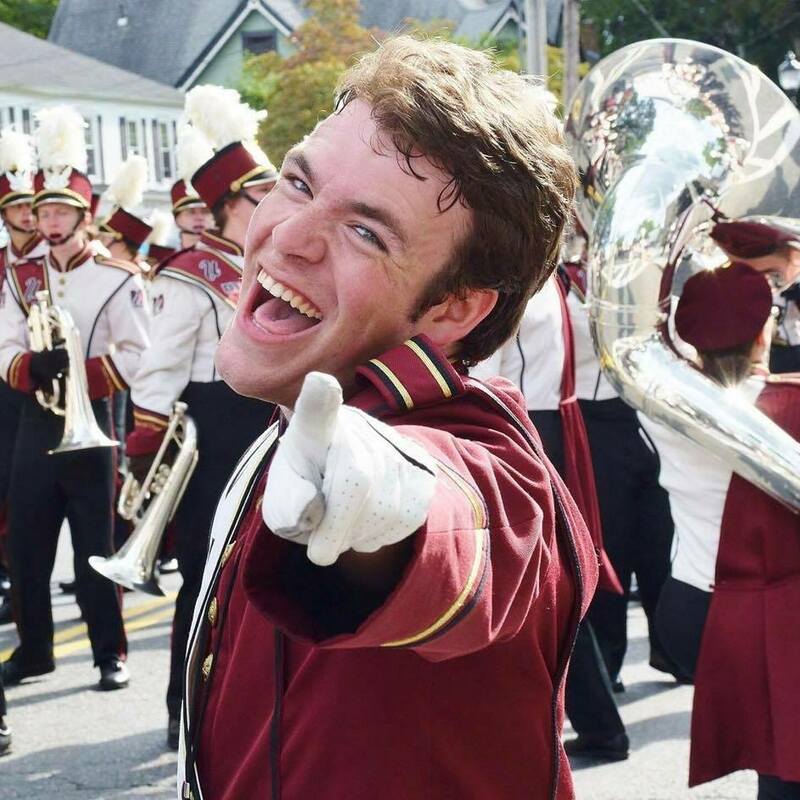 Jack loves helping people, so if you have any questions about band, UMass, or anything, feel free to reach out to Jack at jmellish@umass.edu. Patrick is a senior music education major from Palmer, MA. Before being Drum Major, Patrick was a member of the trumpet section in the band, and was a part of their field staff team this past year. Along with Marching Band, Patrick is also involved in many other ensembles, such as Symphony Band, Hoop Band, and various small ensembles. With these groups, he has had the opportunity to travel to places such as Pennsylvania, Texas, Canada, and even Ireland! Patrick is a Brother of Kappa Kappa Psi, a National Honorary Band Service Fraternity on campus. A few things that he loves besides music are baseball, pizza, and dogs!. Patrick is wicked excited for the upcoming season, and knows it is going to be very rewarding. He can’t wait to share some awesome moments with everyone throughout the year!